This is the premium version documentation page. Click here to purchase Checkout Files Upload for WooCommerce. This plugin is an extended version of free Checkout Files Upload for WooCommerce plugin. Pro version lets you add multiple file upload forms to the checkout (and/or thank you; my account pages). You can download uploaded files from admin’s “Edit Order” pages (there is “Uploaded Files” metabox in the upper right corner). Alternatively – if you wish to access files directly – uploaded files are saved in /wp-content/uploads/woocommerce_uploads/alg_uploads/checkout_files_upload/ directory on your server. Files are named by concatenating order number and file number (e.g. 1347_1.png, 1347_2.jpg etc.). This will change the layout of checkout files form a little, but it should fix any issues with mobile devices. Save changes after you change this number to see new settings sections. Message on exceeded. Replaced value: %max_file_size%. Allowed file size exceeded (maximum %max_file_size% MB). 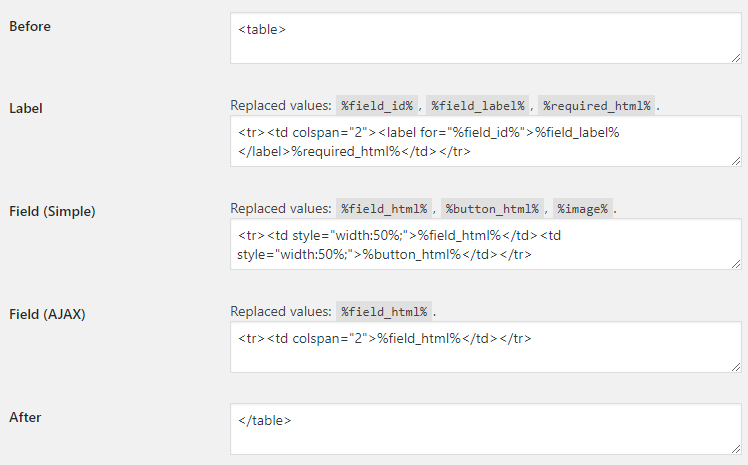 Replaced values: %field_id%, %field_label%, %required_html%. Replaced values: %field_html%, %button_html%, %image%. Accepted file types. E.g. : .jpg,.jpeg,.png. Leave blank to accept all files. Possible values: Before checkout form; After checkout form; Do not add on checkout. Leave blank to disable label. %s will be replaced with file name. File "%s" was successfully uploaded. File "%s" was successfully removed. To show this field only if at least one selected product is in cart, enter products here. Leave blank to show for all products. To show this field only if at least one product of selected category is in cart, enter categories here. Leave blank to show for all products. To show this field only if at least one product of selected tag is in cart, enter tags here. Leave blank to show for all products.